credibility and traffic back to your website. Are Your Readers Excited About Your Articles? Imagine having a conversation with a new client. You’re trying to keep them engaged in what you have to say, but it’s clear they’re just looking for an escape. No matter what you have to say, or how enthusiastic you say it, they’re just not into it! Does this sound familiar with your writing? If you’re working double time to connect with your readers, and the results aren’t there, you can become extremely frustrated. This is a feeling many writers know all too well. While your articles may be getting plenty of views, your readers may not be interested in learning more. Losing a connection with your audience, or never having one at all, can be upsetting. It’s not easy to establish healthy relationships, nurture existing ones, and build a fan base through your writing. Below are a few reasons why you may not be connecting with your readers and some advice on how to improve your approach. There are no sure-fire strategies to article writing; every author uses different techniques. Even with these differing techniques, authors typically have the same goal. They strive to use their full writing potential to get their content published and make their presence known. Their hard work provides them with original articles that put them in the best position to succeed! We know you’re anxious to get your content out there. You’d love it if all of your readers visited your website, read up on your new product or promotional offer, and bought every item they came across. However, the real world is not that straightforward and requires a lot of patience. 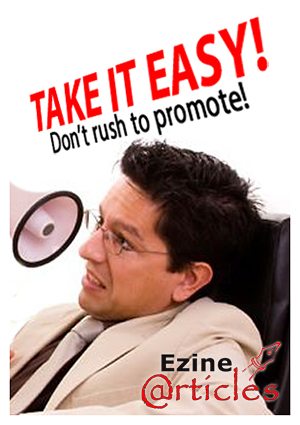 There is an effective way to promote yourself and your products, and there is a lazy, impatient, and ineffective way. We’re here to help you understand the difference between quality content and excessive promotion in your articles. Here are some useful tips on how to write quality articles that highlight your area of expertise… without actually promoting anything. 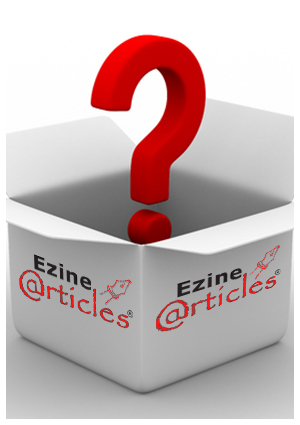 EzineArticles has certainly had its share of authors submitting quality articles over the years. Our authors range from beginners hoping to get their first article published to Expert Authors who have been writing articles with confidence for years. We take pride in preparing our young, unseasoned authors for success as well as assisting our more experienced authors for continued success. 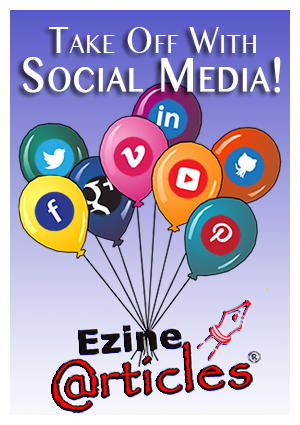 Our goal is to ensure our members are utilizing their EzineArticles account in the best way they can. Apart from providing our members with a platform to post their content, we also offer advice on improving their author profile and account. Have a look at our top 10 tips to managing your account properly… like an Expert Author. How Does Social Media Play a Part in Your Marketing? Social media has grown to epic proportions. If you’re not active on at least 2 social networking sites, trying to get the word out on something you’re working on can be difficult. One of the issues authors have with social media is not having enough time in the day to spread the word about their products and services. Don’t get left behind and leave your competitors with all of the engagement! Now, creating an effective social media strategy doesn’t involve constantly throwing content at your readers. It’s important to be polite and subtle so it doesn’t look like you’re even promoting anything at all. Your marketing should be unique, and your updates should not be automated every time. 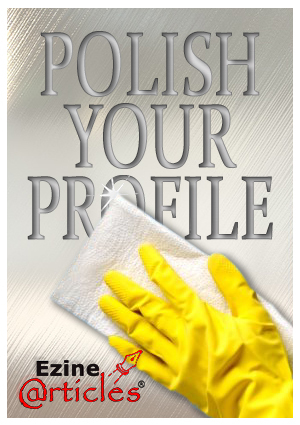 The whole point of this marketing approach is to show off your personality and human touch! This Was the Year of the Author. Be Grateful! One big challenge many authors face throughout the year is finding dividends or rewards for their efforts. As the year comes to an end, you need to take a good look at your strengths and be thankful for the progress you’ve made. It doesn’t matter how far you’ve come; what should matter are the experiences and connections you’ve made along the way. Even if all your goals weren’t met, this time of year should be satisfying provided you stayed strong and motivated and continued working hard for your readers. Take some time to reflect on this year’s writing endeavors and truly appreciate what you have. Read our list of top 10 things to be thankful for. It’ll give you comfort and gratification through the end of the year. 1. Your Progress: Every author has felt aggravated or impatient at some point. Committing to writing as a career can take a lot out of you, especially if you’re not making the progress you’ve been working towards. While this can be frustrating, if you continue to set goals and take the appropriate steps to meet them, your progress can only improve. Keep your head up and take pride in your achievements! Is My Author Name THAT Important? Article writing, or establishing yourself as an author in some form, comes with many challenges, decisions, and rewards. You can let your imagination run free or use knowledge and research to provide your readers with the best tips and strategies from your expertise. Before you publish your work, however, you need to get one thing straight… what is your author name going to be? Deciding on your author name may not be on your mind. You might think it’s unusual to use anything but your real name. There are, in fact, many reasons why an author might want to create a new character or different “personality” for their writing. Your author name can have a big impact on the direction you’re headed with your writing. Do you want to be known by your real name, a pen name, a variation of your name using abbreviations, or some other mysterious alias entirely? When you’re writing as a hobby or profession and you have an audience, you do need to have an author name; there’s no way around it. Even if you prefer to write anonymously, that is still the name you will be known by. As an author, you’re not required to use your real name, but you should be given more flexibility in the name you choose for your personal preference or brand identity. You can now have your author name of choice even if the name is already taken by another member. Revisit Some of Our Top Articles of the Year! Summer is winding down. As the leaves change color and the air gets chilly, the article writing scene changes as well. You think you’re on the right path, then a new trend in technology or update on how search engines act is revealed. This can ultimately impact your business and slow down your progress. There are so many other successful authors out there and changes that occur daily, how can a writer keep up? Relax. We have you covered! Whether it’s finding the motivation to keep writing, increasing your exposure and credibility, or designing the best layout for your squeeze pages, our past articles can lend you a hand depending on your interests. It doesn’t matter if you’re just starting out with your first article or if you write articles in your sleep at an expert level … there’s a good range of tips below! Here are our top 10 blog posts of the year. Enjoy! Have you ever been serious about writing, but lacked the drive and ambition to actually write anything down? Staring at that blank piece of paper or computer screen can get frustrating, and putting in zero effort is a waste of time. There are a few bold words that describe this lack of motivation. They tend to get in the way of those creative experiences that we crave, but end up neglecting. In order to maintain success and keep things rolling with your writing goals, it’s crucial that you fight off any procrastination and negative energy that gets you in that uninspired mood. 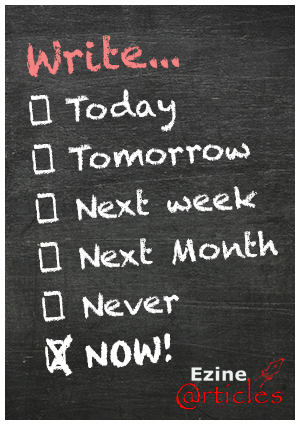 Below are a few tips to help keep you motivated to write every time you have the opportunity. 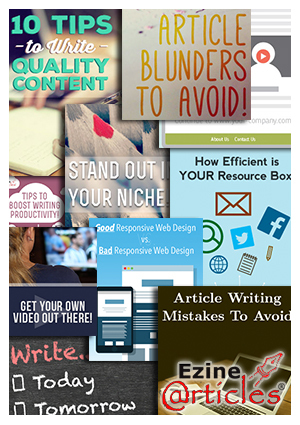 Have your readers in mind when you’re thinking about your next set of articles! Let’s Discuss Article Writing Quickly, Shall We? We’ve always been here to help you with your articles and to answer any questions you throw our way. Any author that has been writing articles for a while knows that addressing basic questions are crucial to maintaining long-term success. 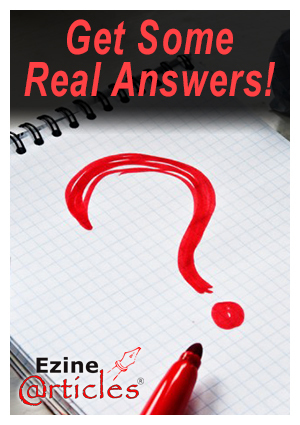 The following questions related to article writing come up frequently for us. When you’ve gone through our list, think about your own writing. Then make a list to see how many of these questions you would answer differently. Some answers will be quick, so stay alert! 1. Is it a Good Idea to Use My Real Author Name? Absolutely! You need to position yourself as an expert in your field. 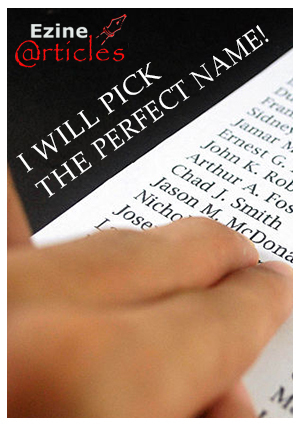 You want your readers to remember your name after a satisfying reading experience.